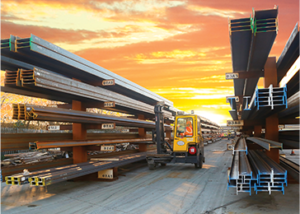 We all know that our steel is used in just about every major industrial and commercial sector. From the automotive industry to schools and hospitals. From farm buildings and commercial construction to new homes. 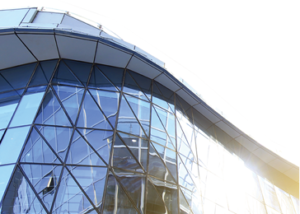 But did you know that our steel has rubbed shoulders (quite literally) with the glamorous and glitzy world of showbiz – including Hollywood blockbuster movies? 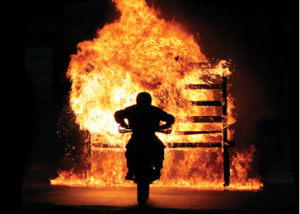 We’re going back a few years now but some of our steel, for example, was used to help create some of the spectacular motor cycle stunts in Mission Impossible II, starring Tom Cruise. You might also be familiar with Om (OK perhaps not by name), the sixty-foot tall steel man that was used as part of the stage set in Take That’s Progress tour? Well that was our steel too. 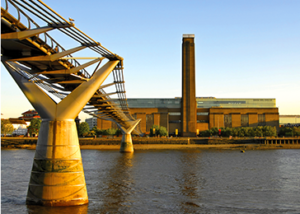 And talking about supporting roles, our steel is helping to hold up the façade of the iconic Battersea Power Station. 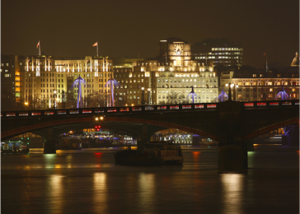 What about the re-fits to London’s world famous Hippodrome and the exclusive Savoy Hotel? Yes, that’s our steel as well. And there’s more…two hundred and fifty tonnes of AJAJN steel helps to support Harry Potter World in London and the RNLI Headquarters and lifeboat station in Poole has one thousand tonnes of steel from us. Throw in Tate Modern and Heathrow’s Terminal 5 and you’ll have to agree that our steel is seen in all the right places. You might also be interested in knowing that some of our steel – 29 tonnes of it – has gone into making the staircase at Google’s London headquarters. Located between Kings Cross and St Pancras railway stations, the office building – known as ‘Googlers’ – features an open-air swimming pool, an indoor football pitch, a climbing wall, a music jamming room and sci-fi themed break-out rooms. There’s no doubt though that the staircase is the building’s centre piece! Sticking with the London headquarters theme, the lift shaft at Ralph Lauren’s HQ has 15 tonnes of our steel and nine tonnes have been used in a staircase at You Tube’s headquarters. And that’s not all. 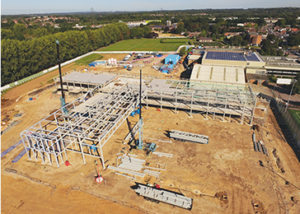 A staggering six hundred tonnes of AJN steel has been included in a £25 million state-of-the-art leisure centre called Fleming Park in Eastleigh. The new building will feature bigger facilities including a 15 court sports hall, four squash courts, a gym and new 25 metre, eight-lane swimming pool. Ever thought about buying a glorious British car, treating yourself to something lovely from one of London’s premier department stores, or listening to some top quality music? Well the next time you do, give (a little) thanks to AJN. 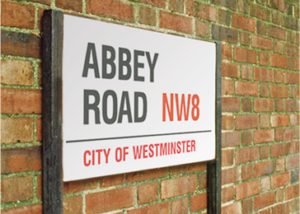 We’ve supplied steel to among others – Jaguar Land Rover, Aston Martin, Selfridges and Abbey Road Studios. 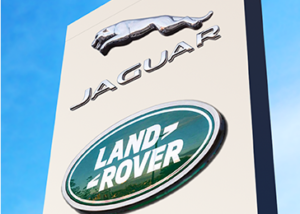 Our commitment to Jaguar is ongoing, and in the hundreds of tonnes, as we help them with their factory upgrades. 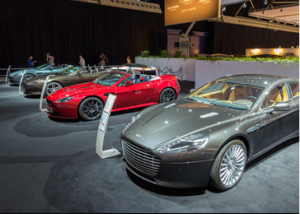 The mezzanine floor at Aston Martin’s Welsh factory owes its existence in part to 150 tonnes our steel, while we also supplied 25 tonnes of steel to Abbey Road for their new Dolby Atmos Studios. The studios, which have played host to everyone from The Beatles to Yehudi Menuhin, via Fats Waller and The Saturdays, have been undergoing a multi-million pound refit, and the Dolby Atmos system is a new type of surround sound designed to make films more immersive. Elsewhere, Selfridges has definitely been enhanced with 150 tonnes of our finest stock, while British Steel Pension Fund is stronger thanks to 250 tonnes of our steel going into two of their new buildings.